We’re continuing our focus on listening from last week because it’s an underdeveloped business skill that can’t be emphasized enough. Keep it about them—not you. Ask open-ended questions. “Tell me more” is a great way to give others all kinds of freedom to say what they want to say. “What’s that like for you?” gets at the emotions, not just the facts, and is a nice alternative to, “How does that feel?” Whatever your opener, let them tell their own story in the way they want to—don’t use them as foils for your hypotheses. Get a little Zen. When the little voice in your head pipes up (you know the one that talks to you a lot, like the one right now saying, “Little voice? What little voice? I don’t have a little voice in my head”), notice and observe it. Raise your consciousness about it in the moment. Then gently yet swiftly return your focus to the real conversation at hand. This is similar to the practice that experienced meditators use of refocusing on the breath when distracted. “You know, Jared, I’ve been thinking about the issue you raised with the xyz process. I don’t know what the answer is yet. I do know that _________. Maybe the right place to start is ___________. What do you think? When you think out loud, you prove that you’re confident enough to realize that not having the answer to something right away doesn’t mean you aren’t smart or capable, and that you trust others to join you in a collaborative process. You’ve probably noticed that the seven best practices require some form of risk-taking. As does all trust. This week, find at least one opportunity to practice numbers 5 through 7. Which one is easiest? Hardest? 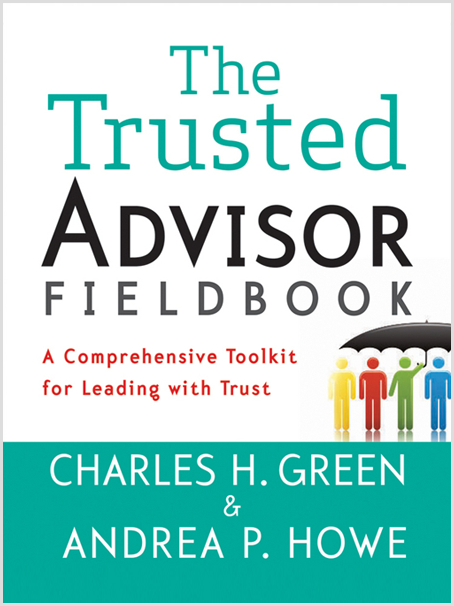 Read more about Zen and the art of trusted advisorship, or discover nine ways to express empathy in Chapter 6 of The Trusted Advisor Fieldbook.